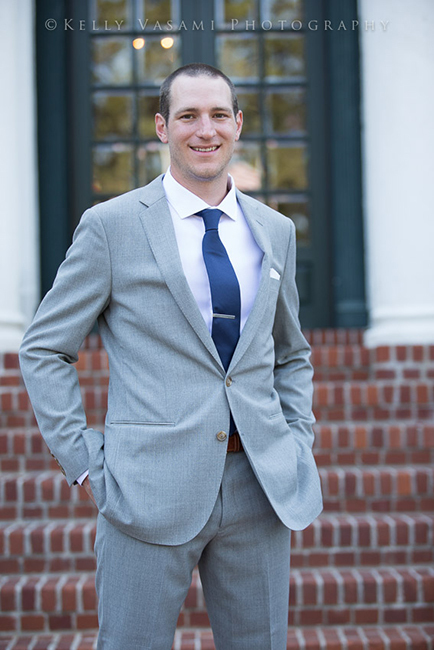 Chelsea & Stephen were married on a beautiful summer day at Tarrytown House Estate. Chelsea is the epitome of elegance in her simple classic gown. The dramatic back adds the perfect touch of flair, coupled with a colorful bouquet by the amazing team at Forever in Bloom. 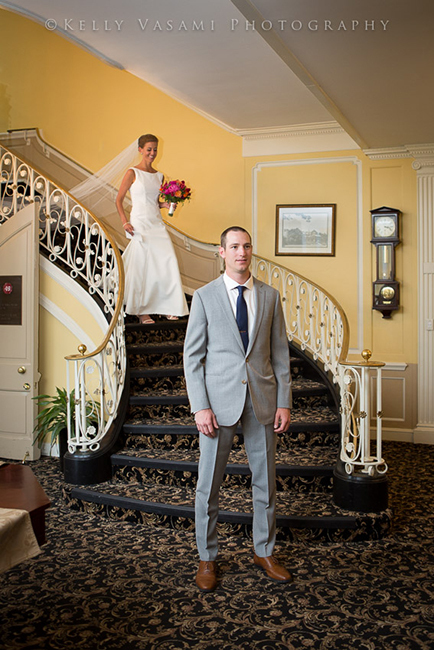 A lovely dramatic stairway at The Tarrytown House makes the perfect spot for a first look. The looks of anticipation on each of their faces are just classic! The Tarrytown House has lovely portrait backgrounds, including this perfect archway and stone wall. After shooting a few traditional portraits, I gave Chelsea and Stephen some space to let them have a few candid moments together. 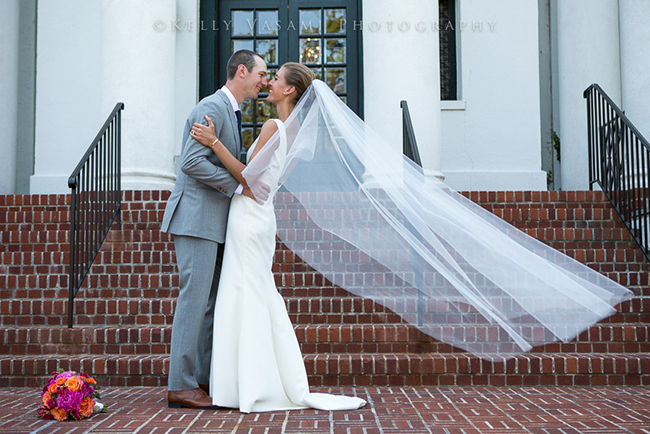 How lucky were we that a nice little wind came along to help capture that amazing veil in all its glory! Stephen is perfectly relaxed and handsome in his groom attire. An awesome lineup of the girls and the guys. It’s fun to get them all smiling at each other or doing something silly. 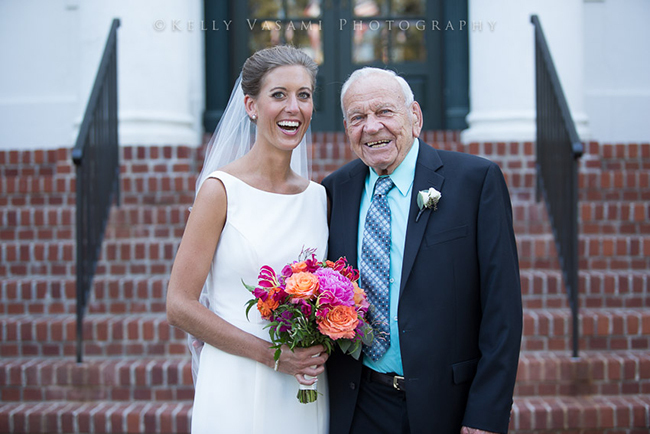 Chelsea was fortunate to have her sweet and fun-loving grandfather at her wedding. I can’t tell who is happier about it! A lovely outdoor ceremony capturing the gorgeous sunny weather, surrounded by friends and family witnessing the joy. Onto their grand entrance and showing off their stylish dance moves! 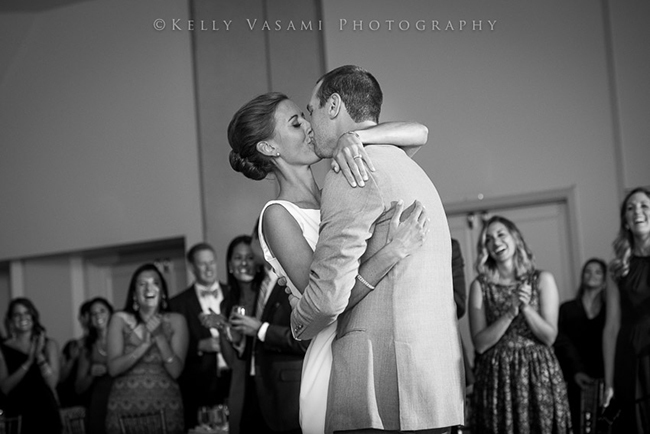 A fantastic embrace on the dance floor with great reactions from guests in the background. Such fun and emotional shots with her grandfather on the dance floor. How could you not smile at these moments?? It’s hard not to be impressed by this amazing cake, which was hand crafted by the groom’s very talented mom! The delicate flower petals and the monogram topper adds that extra touch of finesse. A sweet ending to a sweet day.